When nutrition meets love, the result is simply purrr-fect. Nulo FreeStyle’s Chicken Perfect Puree is a tasty way to show your tiny tiger how special they are to you while delivering a highly nutritious reward! Serve directly from the packet as a lickable treat or use as a topper to kibble or canned food! 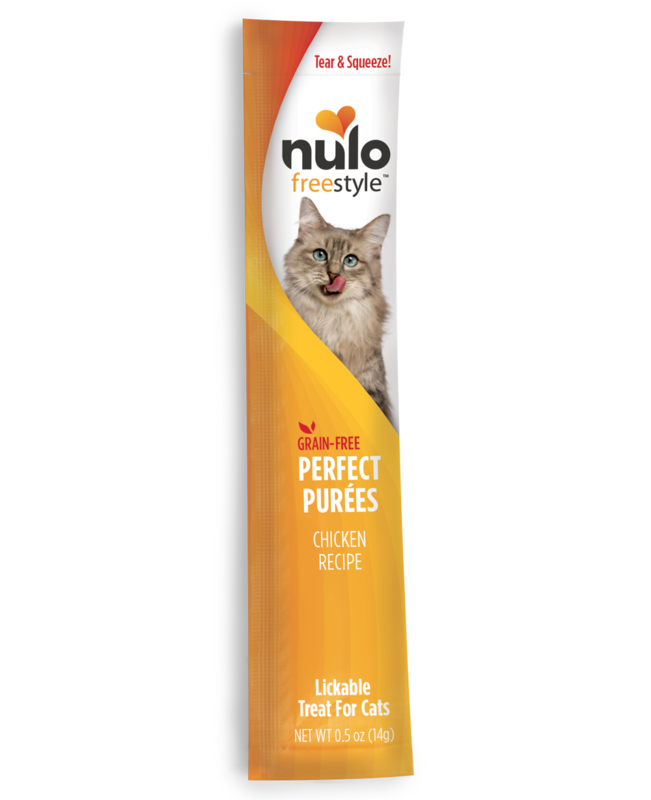 Nulo’s Perfect Purees are a treat for pet parents to feed and for cat’s of all ages to eat! Chicken Broth, Chicken, Chickpeas, Guar Gum, Tuna Extract, Inulin, Natural Flavor. FreeStyle Cat & Kitten Perfect Puree Chicken Recipe are intended for intermittent or supplemental feeding only.